The perfect ring for the man who craves traditional yet original style. This designer men's gold wedding band has a gleaming and slightly domed profile finished with milgrain edging. 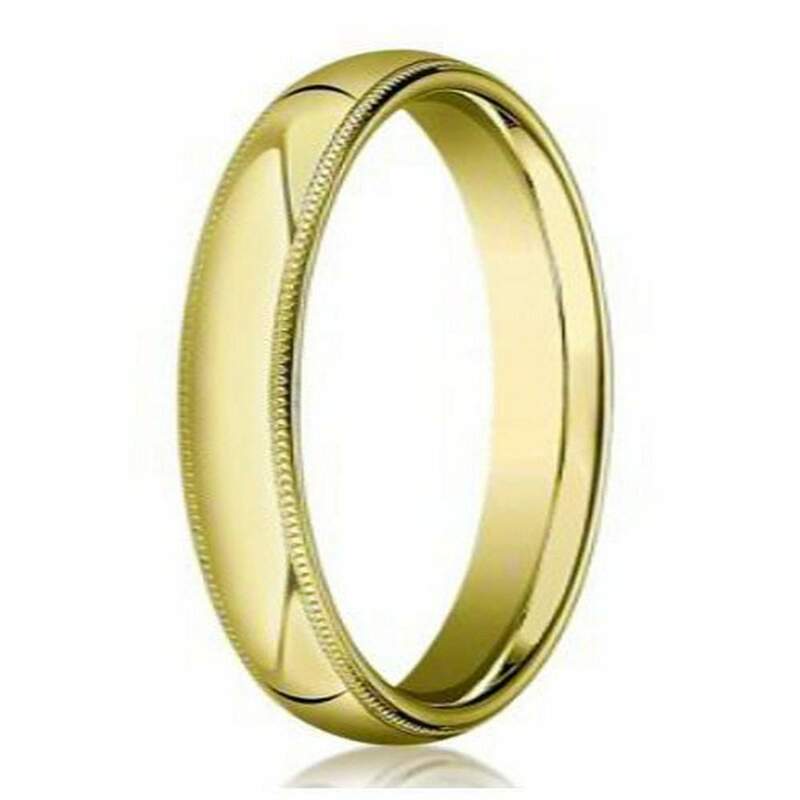 Made of lustrous 14K yellow gold, this 5mm comfort fit band has both an incomparably handsome appearance and extreme ease of wear.Comfort fit rings usually measure 1/2 size smaller due to the additional metal inside the ring. We recommend having your finger measured for a comfort fit ring at your local jewelry store. Purchased this ring to replace my original wedding band. Great ring, great price. Shipped in the time specified time frame. Thanks for a great deal. Beautiful ring and in time for wedding! Was a custom size and only had a week to get it and your company came threw for us, thank you so much! !